Noun, interjection & verb. Chiefly Australian & New Zealand. Also cooey. Late 18th century. How many words of Aboriginal origin are in your active vocabulary? Well, no doubt a few: kangaroo, koala, boomerang, didgeridoo, budgerigar, and maybe even billabong. But how many are there that aren't obviously Australian? 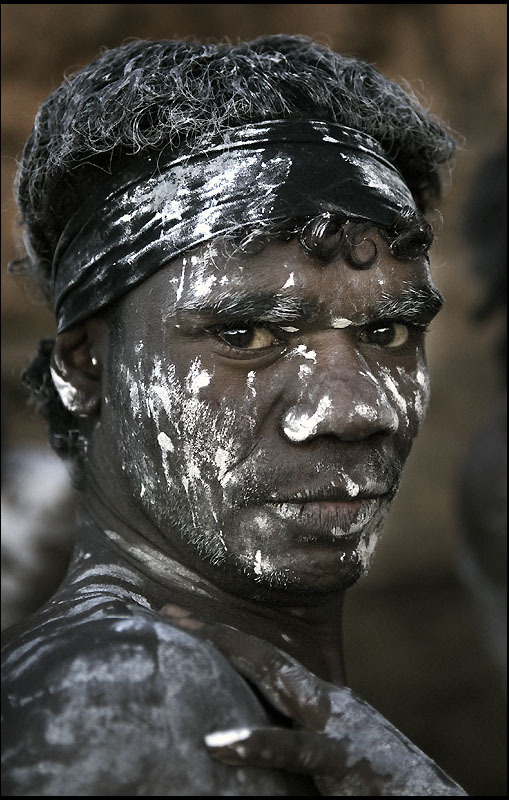 How many Aboriginal words have been truly adopted by the English language, to have made themselves so at home within our copia verborum that we don't even recognise them as ostensibly antipodian? Of these, there aren't very many; so few, in fact, that we should treasure the ones we have. One such gem is the call of "Cooee!" For whatever reason, cooee brings to mind either an intrusive, middle-aged female neighbour standing at the front door that you stupidly forgot to lock, or an exuberantly overweight aunt that you're keen to avoid at family functions, one who persists in chasing you down with cooey's and helloo darlings's in order to pull you into her suffocatingly ample bosom. But now I'm determined to overcome my ignorant prejudice, for to call "Cooey!" is to propagate an ancient and venerable cry of the outback, one that enabled the Australian Aborigines to communicate over huge distances. That, fellow Lexicolaters, is a worthy word, and from this day no amount of Aunt Flo's bosom will persuade me otherwise. Do you call "Cooey!" to family and friends, or other people trying to avoid you? Do you prefer the spelling cooee or cooey? Do please draw attention to yourself by heading south to the comment box below.